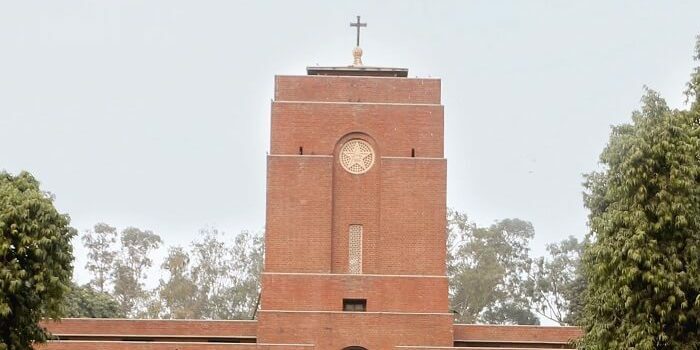 DU Admission 2018-19 - As Delhi University aspirants eagerly await cut-off for different colleges, St Stephen’s College has announced its first round admissions with higher cut-off for BA Programme, Mathematics (H), English (H) and History (H) even as the cut-off for BSc and Sanskrit eased this year as compared to last year. St Stephen’s College usually announces its admission cutoff a few days in advance to the announcement by other DU colleges. The 2018 admission cut-off for all 77 Delhi University affiliated colleges is expected by June 19. The St Stephen’s College is first to announce the cutoff with its first list announced on June 11, 2018. While the cutoff for BA Programme has increased by as much as 2 percentage points, for some programme including Mathematics, English and History, the cutoff has increased marginally by 0.25 points. However, for programmes like BSc and Sanskrit, the cutoff has shown a substantial dip of 6.34 and 10 percentage points, respectively. The minority college also calculates the cutoff based on the Delhi University’s Best of Four subjects formula. BA Programme – The St Stephen’s General category applicants from both, Science and Commerce streams will need 98 per cent in their ‘Best of Four’ subjects for admissions to BA programme this year, while it was 96 per cent and 96.5 per cent last year. The candidates from Humanities stream will need 95.5 %, 0.50 percentage-point less than last year’s 96 per cent. Economics – This year’s cutoff for General category candidates of Science stream applying for Economics programme is the same that of last year, i.e., 97.5 per cent. Further, the Commerce stream candidates will need 0.25 points more than last year’s 98.5 per cent and the Humanities stream candidate will need 98 per cent to get a seat in the Economics programme. Last year, the Humanities stream candidates needed 97 per cent for admissions. English – The General category candidates applying for English programme at St Stephen’s College will need 98 per cent, which is 0.25 percentage points more than that last year. However, the Commerce stream candidates, this year, will need 0.50 points lesser that last year’s 99% for admissions into English programme. Further, the St Stephen’s English Cutoff for Humanities stream has not seen any change, where seats are available for candidates scoring more than 97.5% in their ‘Best of Four’ subjects. Sanskrit – The cutoff for Sanskrit has dipped by 10 % this year. While last year, it was available at 75 per cent, this year, the applicants can have the seats with a 65% score. The Sanskrit cutoff for Humanities stream candidates have dipped by 5 points, yet at 65 per cent. Chemistry – The Chemistry programme applicants will need this year, 0.66 percentage point lesser than last year’s 96.66%. BSc Programme – The candidates applying for BSc programme will get admission with 6.34 % lesser score than last year. This year, the BSc programme applicants will need 89.66% in their Physics, Chemistry and Mathematics aggregate, while last year, it was available at 96%. Being a minority institution, St Stephen’s College enjoys the privilege of conducting its own admission process and publishes separate cut-offs. According to the St Stephen’s Interview Schedule, the candidates qualifying the cut-off are invited between June 18 and July 6, 2018 for different undergraduate programmes.